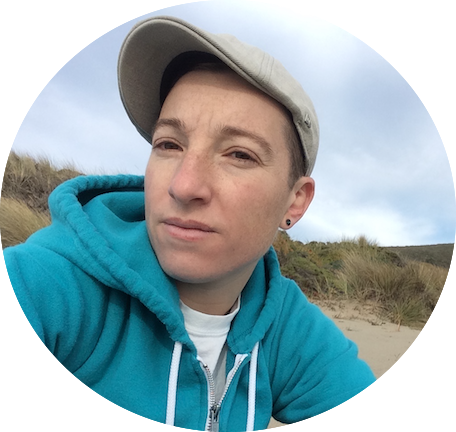 Yosmay is a Trans, Latinx, Oakland raised writer, photographer, and audio producer. His writing explores themes of gender identity, immigration, race, and disability. His photography considers landscape and how the intimacy of natural terrain creates a sense of place and belonging. Yosmay's audio production work focuses on oral histories and community storytelling as a form of resilience. Artistic practice is about portraying the depth and complexity of character or place. My intention is to evoke questions, feelings, dialogue, and connections. It is the practice of not looking away, to be present in all the vivid and painful material of experience. Poetry and Photography are mediums of distillation. They evoke a sense of gravity from the quiet contours of white space and daylight. Poems open their hand and offer a brief encounter, a flutter in the periphery, a single moment to hold. Words, margins, and stanzas orient a topography. Photography frames a perspective, uses light and color and shape to imagine the senses entering the flattened image. The photos remind of slowness, to look at the macro and immense. The shutter realigns with the larger constellations, the rhythm of seasons and migrations. Nature images for me are a reminder that I am a guest on this land, made an agreement with the oak trees and earthquakes and tides to connect and steward. Audio and Prose require a different tempo and pace. The narrative builds through accumulation. Voice and body become maps and markers, become layered texture of content. Audio considers the timber of voice, the context of speaking, the who and to whom, as much as the producer listening. Prose offers detail in precise order, builds awareness, gives points of entry, must show the character and narrator in a specific time and place.